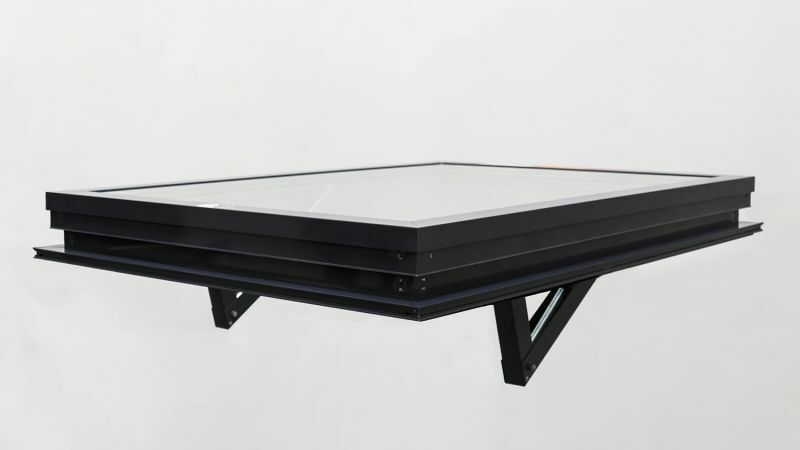 Colt Firelight is a natural casement roof ventilator, suitable for natural day to day ventilation and smoke control. It has high aerodynamic, acoustic and thermal performance, providing extract ventilation for most kinds of industrial and commercial buildings. Firelight is manufactured under the ISO 9001 quality standard. We offer two versions of Firelight – the standard version and the recently launched FS version. View the video on the FS version. A wide range of applications - Firelight is classed as a dual purpose ventilator, providing both day to day and natural smoke ventilation. 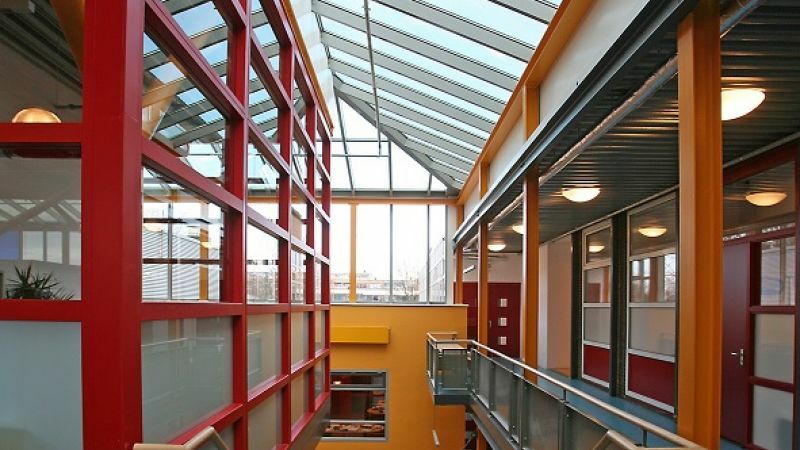 Polycarbonate and glass ventilation versions allow the entry of natural daylight, and a wide range of infill panels are available. Firelight is available in either a single or a double flap version. See the Firelight Duo page for the double flap version. Pneumatic, electric linear, electric chain (see datasheet) or electric tubular fail safe drives (see FS datasheet) or hand controls are available. Controls are mounted either within the ventilator throat, hidden within the frame or at the side. With chain drives, the mechanisms are hidden when the ventilator is closed. High performance - Firelight has high aerodynamic, acoustic and thermal performance, and has a high resistance to the effects of fire. For instance, its wide opening flap means that its aerodynamic performance is high. Its high thermal insulation means that potential condensation is minimised. 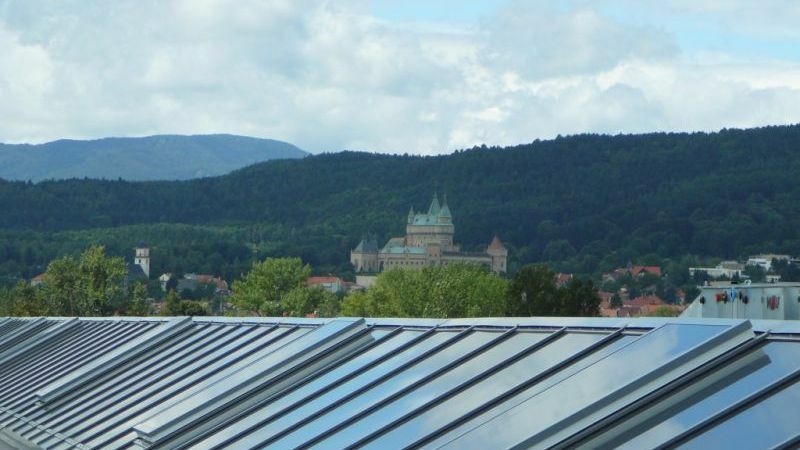 Its low U-value and extremely low air permeability means that it is very energy efficient. 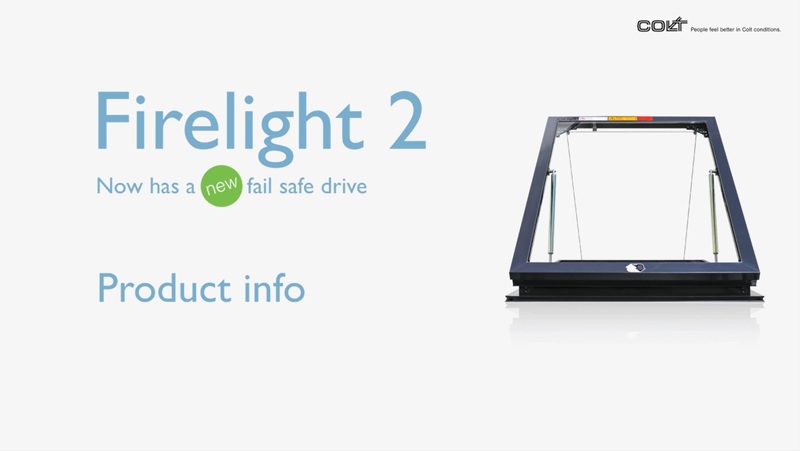 See the options page for Firelight 2 for further details. Proven performance - Firelight has been exhaustively tested and certified to EN 12101-2: 2003 in accredited third party test laboratories and is CE marked. 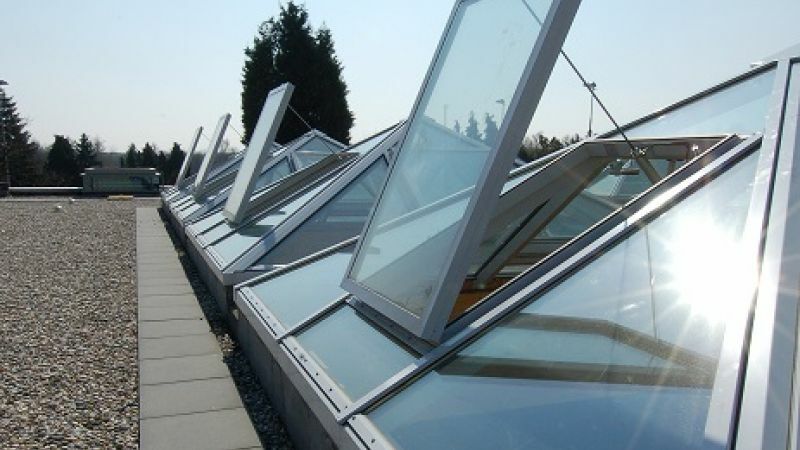 Easy to install - Firelight is delivered fully assembled to site and may be installed at any angle from the horizontal to the vertical (0 to 110 degrees) onto a curb, into sheeting or into glazing. 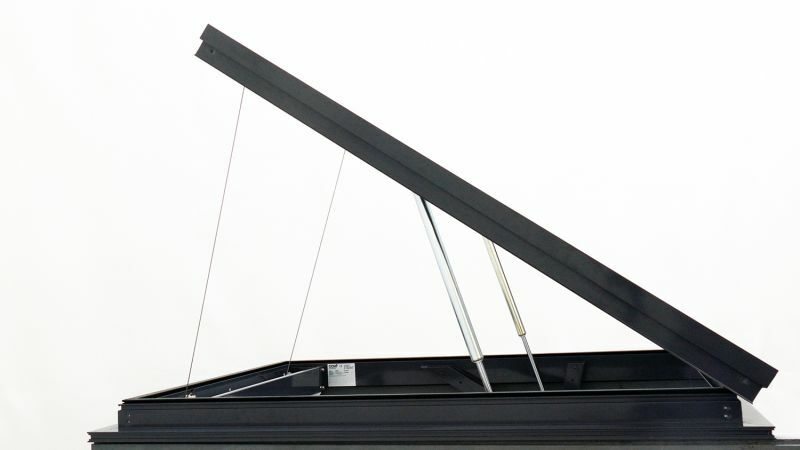 It has a wide range of base profiles to suit most sheeting, curb or glazing applications. Durable - Firelight is manufactured from tough, corrosion resistant aluminium grade 6063-T6 alloy, with stainless steel fixings. Great looks - Firelight has a low profile and slim frames. 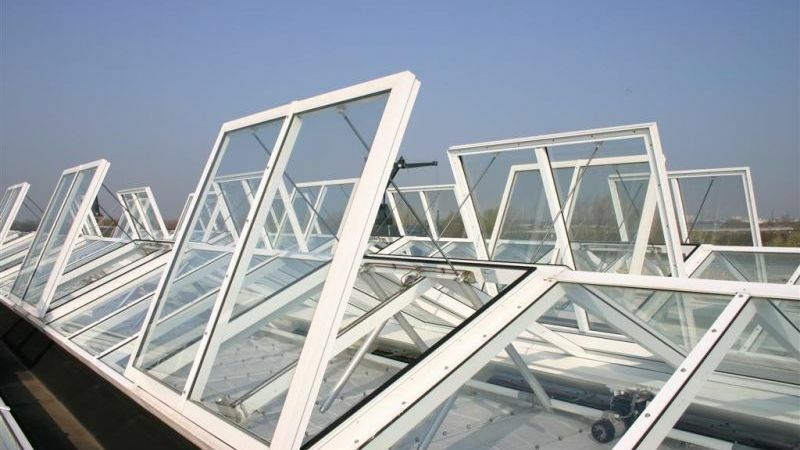 Natural casement glazed roof ventilator, suitable for natural day to day ventilation and smoke control. Tested to and in compliance with EN 12101-2 and CE marked. From 700mm to 2500mm in width in 1mm increments. From 700mm to 2500mm in length in 1mm increments. These dimensions depend upon the type of flap, the geometry of the ventilator and its opening angle. All components of the base and flap are manufactured from EN AW-6063 T6 aluminium alloy. Glazing and panels are between 7 and 35mm in thickness with a standard of 32 mm. All components of the base and flap are manufactured from EN AW-6063 T6 aluminium alloy. The frames of both the base and flap are thermally broken. Fixing flanges are between 8 and 34mm. 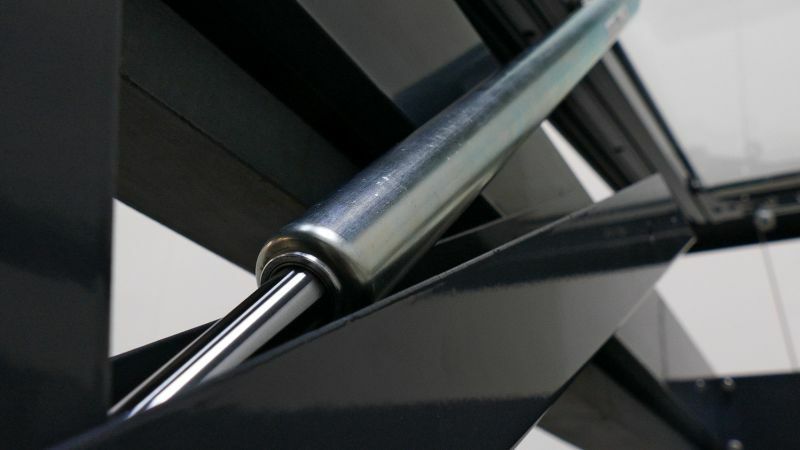 Installation angles are from 0º to 110° from the horizontal. 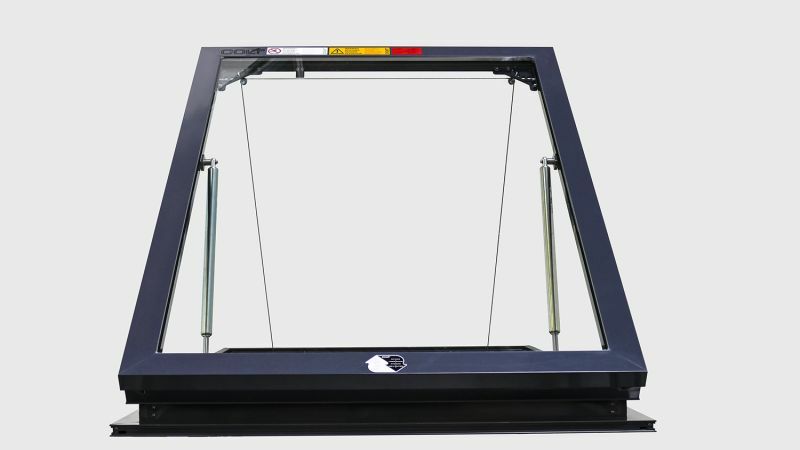 For both electric and pneumatic versions, double-action locking mechanisms. For electric and pneumatic version, fail safe open (only the pneumatic version has been tested to EN 12101-2). If used as a smoke ventilator, activation can be either by local thermal fuse which opens the unit at a pre-selected temperature, or by the ventilator responding to an external release signal. The following performance attributes follow tests to EN 12101-2:2003 (the standard for smoke and heat exhaust ventilators). The exact performance attribute will depend on the chosen size, controls, and flap type. ComplianceTested to and in compliance with EN 12101-2 and CE marked.